Understand how to better manage land and how to rehabilitate degraded areas. Land degradation occurs through both natural and human induced processes, with many problems arising from poor human management. 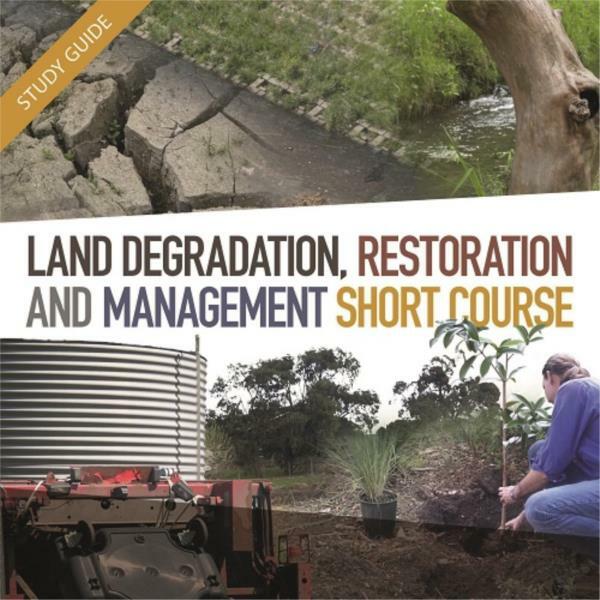 This course consists of seven lessons covering the scope and nature of land management, land degradation and rehabilitation, managing soils, managing water, managing plants, managing animal populations, maintenance and natural regeneration. Understanding the ways in which land degrades is key to minimising or preventing these problems and to providing rehabilitation strategies. At the end of the whole course, you are presented with a major automated examination which can be attempted online, anywhere, any time. those interested in working with land restoration and soil management.